This question must gnaw away at you every day, I’m sure. Because we all want great clients. But finding them feels like such a gargantuan task, you just don’t know where to start. I know that finding clients can feel impossible at times, but I have some solutions to make things simpler. 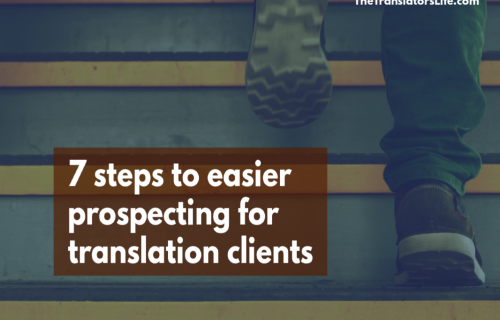 Because there are only two basic methods to finding translation clients and to help you build your business. Each one fits a particular type of language situation and has its own upsides and downsides. Let’s look at each one to see which is right for you to get freelance translation clients. This method is for you if you live in a multilingual environment and have some type of experience in a specific industry or field. Referrals build over time and you don’t have to lift a finger to market your business. You don’t have to compete for work, as it just comes to you. Clients don’t balk at your rates because they are relieved to have found a professional. It takes a really long time to build a network. We’re talking years. You must live in a place or belong to a sector that lends itself to a network. Not every translator in the world has that luxury! 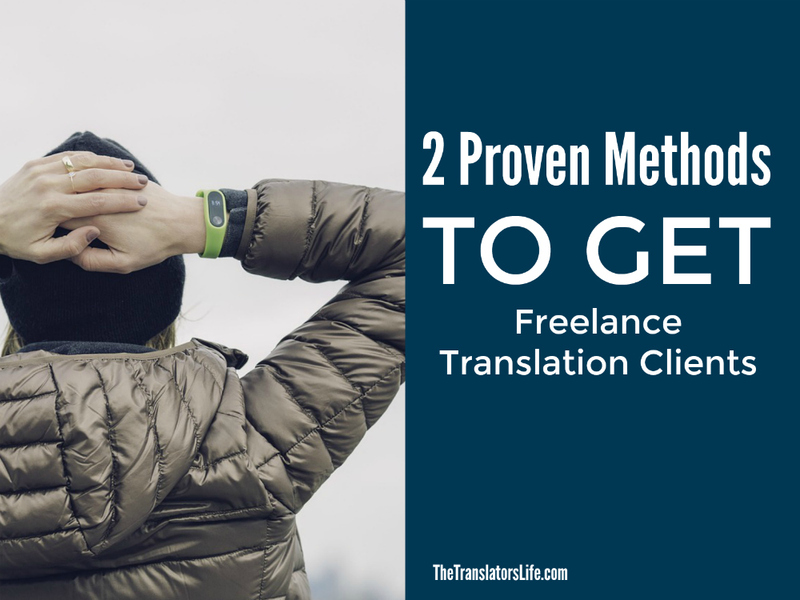 I know that you are probably keen and excited to get to freelance translating already, but you have to spend time building skills in a field other than translation for your business to really work. For example, if you want to work in a sector like human resources, you may have to spend some time getting a diploma and working at a human resources firm. You don’t have to spend years there though: even six months to a year can help cement your knowledge and grow your contact base. Whether you’re an admin assistant, communications person, lab tech, or volunteer, your job at your job is to tell everyone you translate. Over time, people will simply send you translations as they get to know you as the “go-to” translation expert in their field. Just know that, in a network, your reputation is everything. If you aren’t known for being reliable and incredibly easy to work with, this method is not going to work for you. Be “out there” in the world in some way. You aren’t going to network from the coziness of your home snuggled tight in your pyjamas. So you’ve been to translation school and you have all the training. You are ready to get out there! The problem is that you don’t know anyone who speaks your source language, and you are scared to death of contacting faceless people in companies that might be half a world away. I know it can be scary, but the only way to get over your problem of not having a network is to reach out to people in an incredibly massive way. Prepare yourself to contact hundreds and hundreds of agencies and clients. Keep your portfolio and resume constantly updated. Be ready to work for a lower rate at the beginning of your career. Accept that clients who don’t know you can be a pain over schedules and rates. You don’t have to wait for people to clients to come to you. You can go after diverse clients and offer diverse services: agencies, direct clients, volunteer organizations, individuals. You can start getting work much faster than the network method: months instead of years. Step 1: Make a long list of clients and agencies you could work with. And this list will be long. Super long. You will probably despair at how long it takes you to put this list together. But that is the reality, so embrace it now and do it. Big tip: Make sure you add clients to your list in a logical way with clear categories and tags. For example, some agencies might work only with medical clients. Group these agencies together. Some clients may have similar business goals, such as growing their customer base or boosting their sales. Group these together as well. When you reach out to them, you can reuse similar emails, resumes and portfolio samples so that you aren’t reinventing the wheel every time. You need to be methodical and consistent in your outreach. The trick is to make a plan and stick to it. If your action is sporadic, your progress will be very slow. 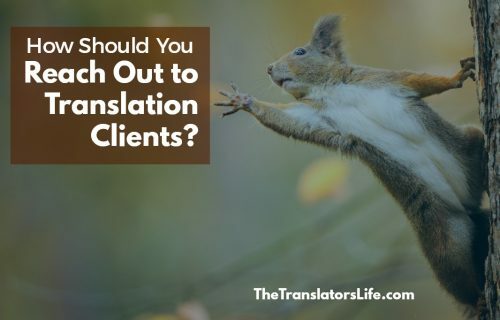 While your reputation will be more of a calling card in the network method, in the outreach method you still need big-time translation chops in order to attract new clients. When you have fantastic testimonials and a stellar resume, your response rate will get higher and higher and higher. The key to get freelance translation clients? 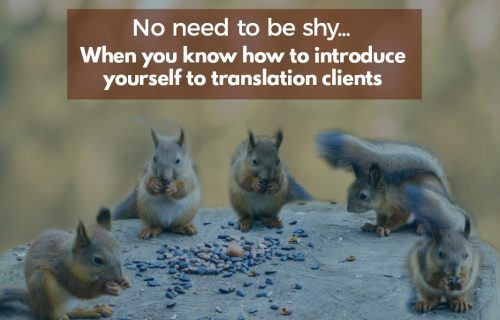 Getting freelance translation clients doesn’t have to be scary. But it does take some dogged determination. To make these methods work for you, make a plan and stick to it. And don’t give up if you don’t get traction at first. If you keep at it, you will definitely beat out all the other freelance translators who give up too soon on their path to get translation clients. Keep going and you’ll make it!